Traveling with kids can sometimes be tricky. Being in the car for a long road trip can leave them bored and cranky. If that’s the case, it’s no fun for parents either. We’ve done our fair share of traveling with kids and have it down to a science! Today I’m sharing 5 Tips for Traveling With Kids to make your trip more enjoyable, less hectic, and headache free. We just got back from our summer vacation and I used these things to help us have a smooth trip. I hope these ideas help you as you get on the road for your summer vacation. Before I get to the tips, I wanted to tell you about the Mondelez Summer Road Trip Sweepstakes to win prizes! You know how I love prizes and freebies–I’m sure you do to. Be sure to enter. Have snacks on hand that are easy to grab and easy for kids to eat. 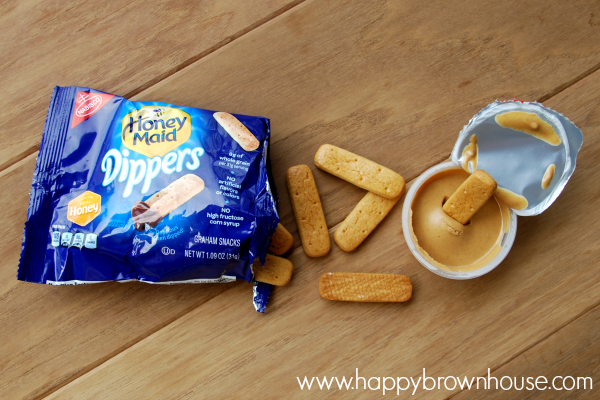 We love to have individually wrapped snacks that the kids love like HONEY MAID TEDDY GRAHAMS Graham Snacks and HONEY MAID Dippers Honey Graham Snacks with travel packs of peanut butter. For the parents, we always have a pack of OREO Mini Cookies and TRIDENT Unwrapped Gum. (Ok, the OREO Mini Cookies are really for me.) 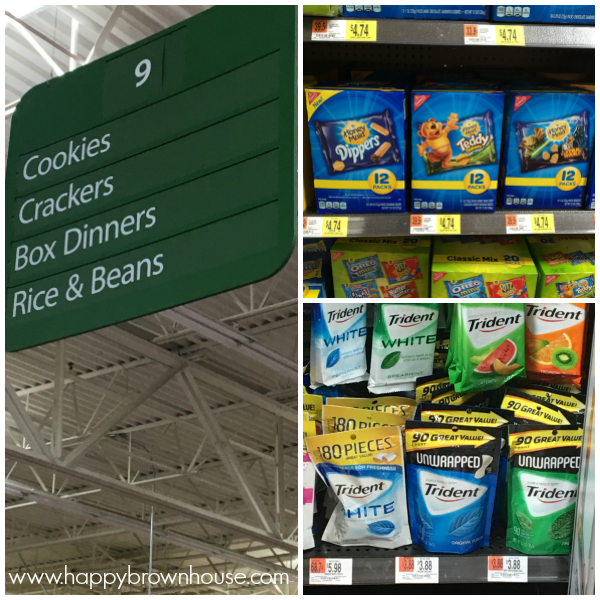 I shopped at Walmart in the snacks and cookies aisle and the candy aisle to grab a few of our essentials. I had heard there was a coupon book including savings for RITZ Cracker Sandwiches, BELVITA Sandwich Breakfast Biscuits, SWEDISH FISH Soft & Chewy Candy 1.9 lb. bags & TRIDENT Unwrapped Gum, but I couldn’t find it in my store. Be sure to look for coupons at your store. 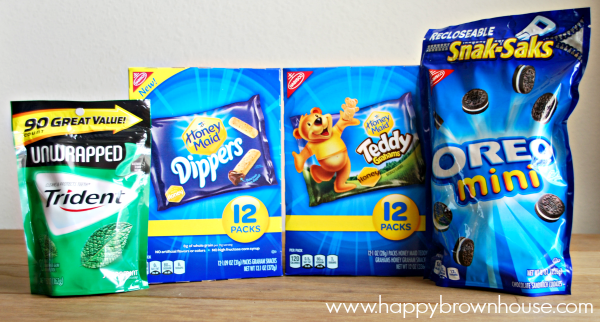 There’s also a great variety pack that I looked at that has all of our favorites, too. When I pack my boys’ clothes for the trip, I always plan out their outfits. Most people do that, right? But, I take it a step further by packing their outfits (including socks and underwear) in a gallon size storage bag. This extra packing step makes pulling an outfit out of the suitcase so much easier. I simply grab a bag and hand it to the boys so they can get dressed. It’s a lifesaver! 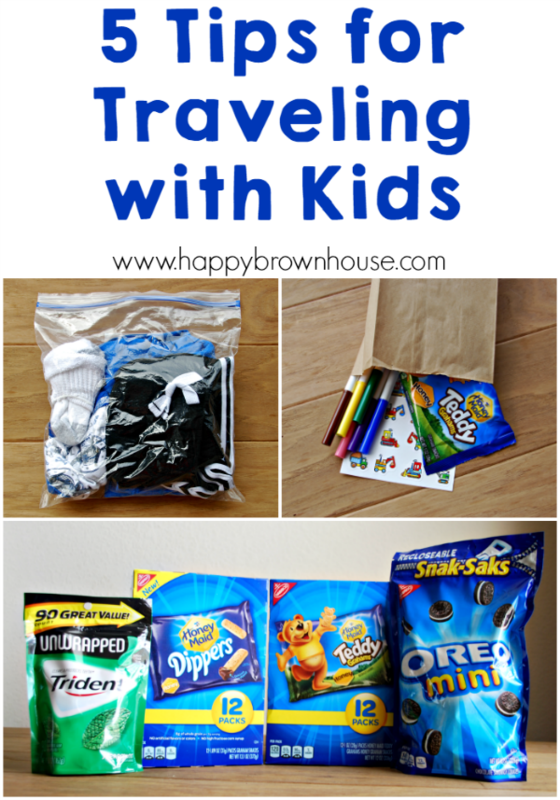 We usually try to time our road trips so that we’re traveling when the kids sleep, but in the event that we travel during the day, I always have Activity Packs for them. 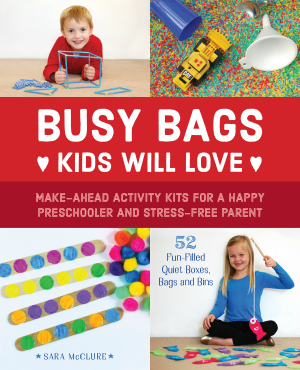 I usually pack a simple little activity for them like our travel lite brite, books, and even pre-planned activities that the kids like. 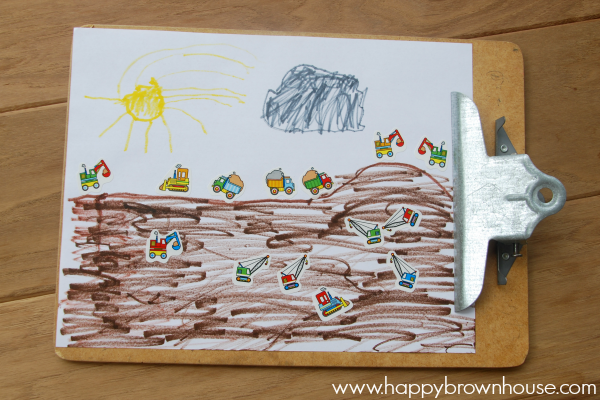 For example, my boys love to make Sticker Stories or drawings with stickers on them. 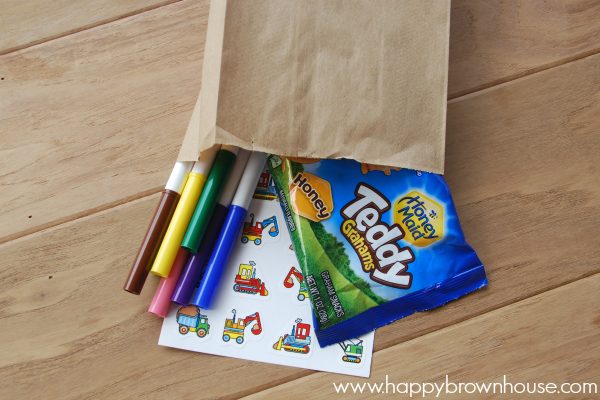 On our most recent trip, I packed a little bag with a pack of stickers, markers/colored pencils (never crayons because they melt! ), and some blank paper on a clipboard. The boys used the stickers to make art right in the car. I will often do this with other small travel activities, too. And, most importantly, I also add a snack, too. 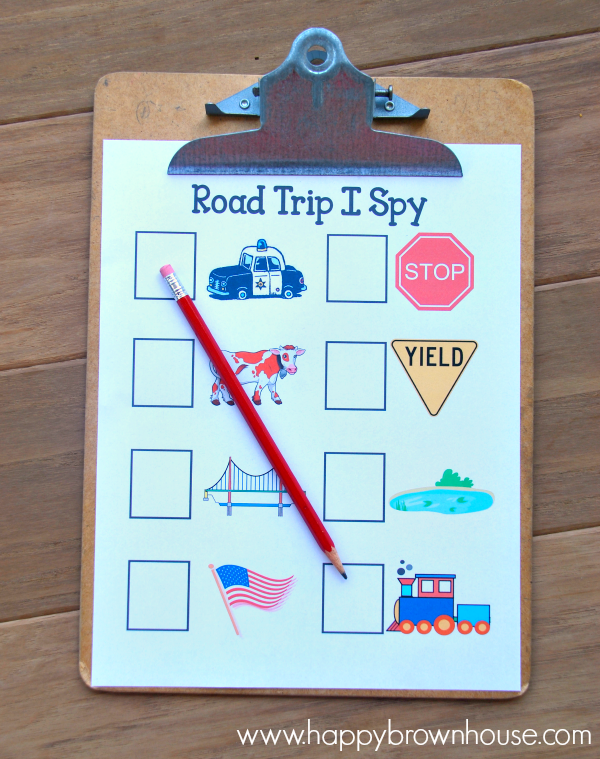 I also love to have road trip games (that link has printable road trip games and more ideas for road trips). Travel Bingo and the Alphabet I Spy are a few of our favorites. I made this Road Trip I Spy for my youngest to keep him occupied for a while, too. 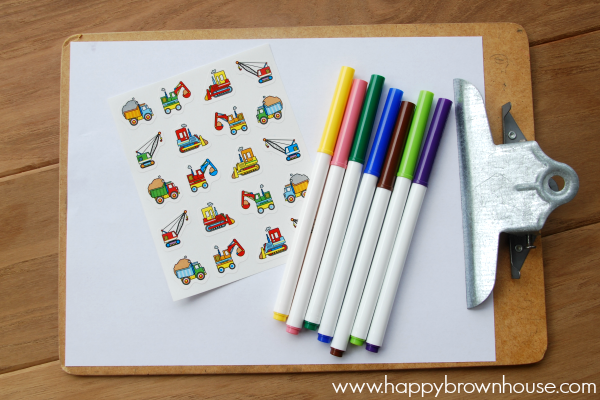 You can grab the free printable at the end of this post. For our long 11 hour trip from Tennessee to Central Florida we always try to travel at night. We usually leave around dinner time and drive through the night. There’s less traffic, the kids sleep, and we have fewer bathroom breaks. It’s a win for our family. You should try it if you have a long trip ahead of you. If you can’t travel at night, try to have intentional breaks for your trip. For example, find out if there are any places to do a little sight-seeing along your way. It will give everyone a break from the car, a chance to stretch their legs, and get their wiggles out. We’ve been known to play a quick game of frisbee in a grassy area at a rest stop just to let the kids run a little bit. When you get to your destination, be sure to have lots of family fun! We had a blast on our trip. 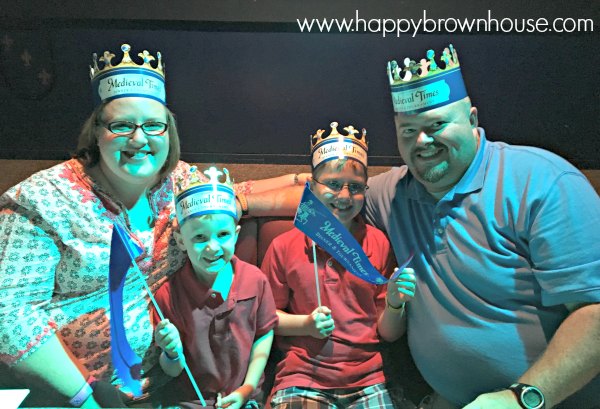 We went to Legoland, Disney, a glow-in-the-dark putt-putt course, and Medieval Times Dinner Show on our trip. Here’s our family at Medieval Times cheering for the blue knight. What are your favorite travel tips? Tell me in the comments! My favorite is the gallon bag outfits. I am a veteran traveler with children, and have never thought of that. Thanks! I wish I had read this Monday morning, as I jut packed seven days of clothes for three children in one suitcase–we are traveling for 14 days, starting in philly and ending in Ethiopia (home).